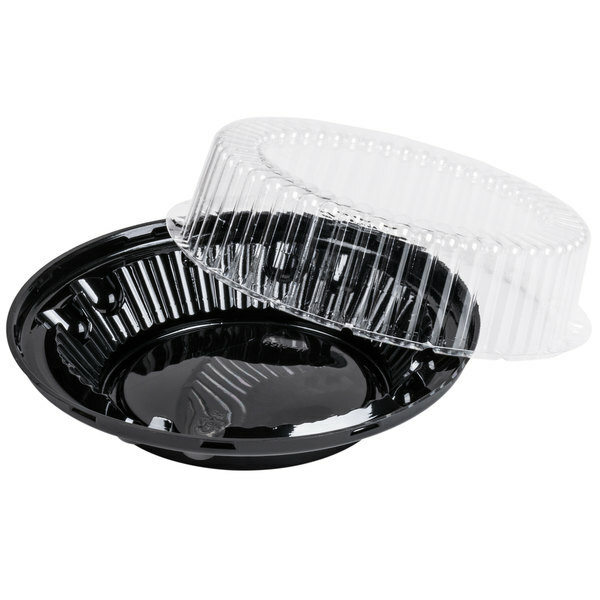 You must buy a minimum of 20 and in additional increments of 20 due to manufacturer packaging. 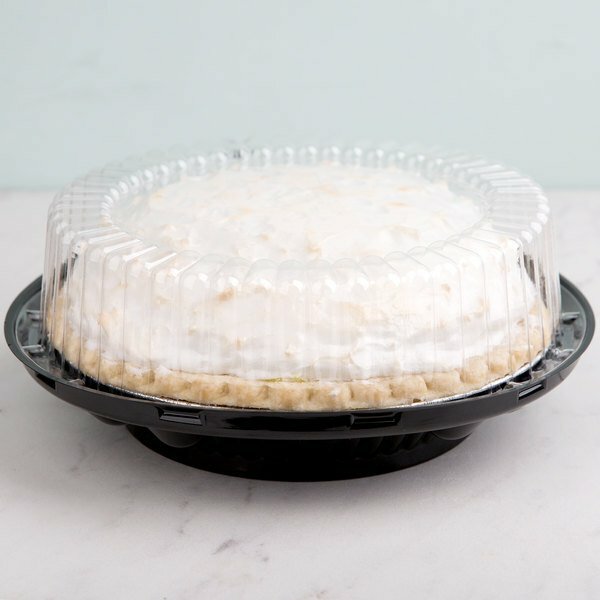 Show off your finest culinary creations and increase impulse buys with this D&W Fine Pack J37 8" pie display container with clear low dome lid. 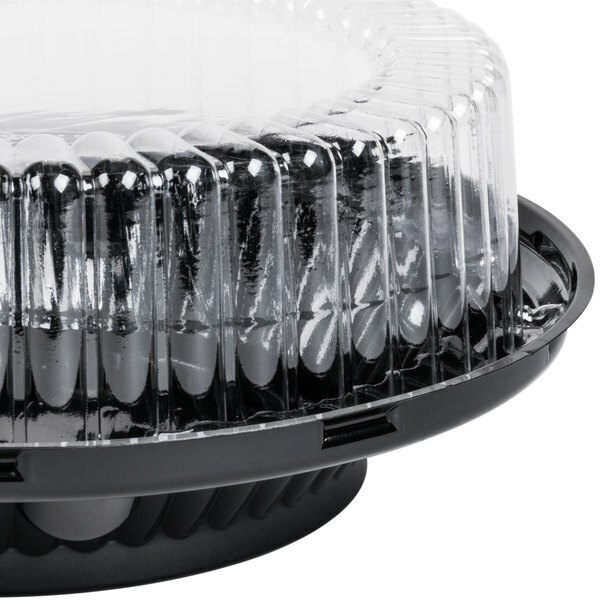 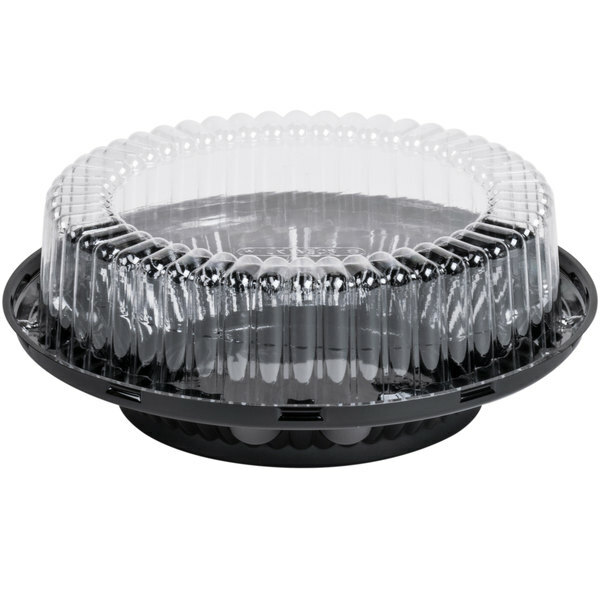 The container combines a durable, black polystyrene (OPS) plastic base with a clear high dome lid to provide the best possible display for your delicious, freshly-baked goods. 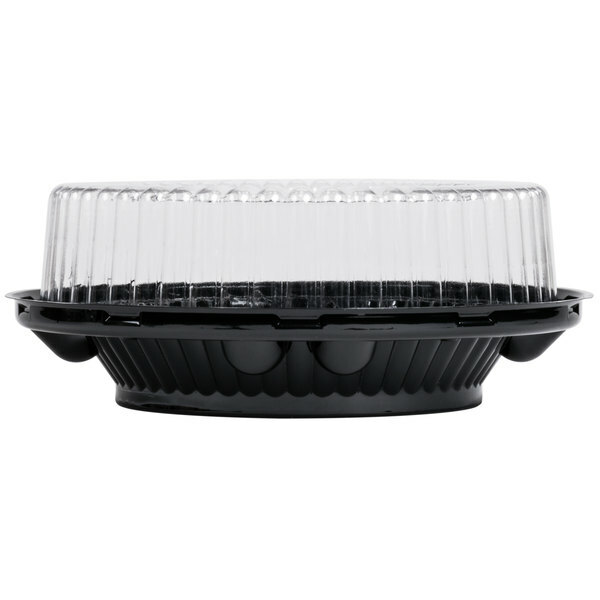 It is also resistant to water and oxygen, and therefore does not transmit exterior food odors to the food products inside. 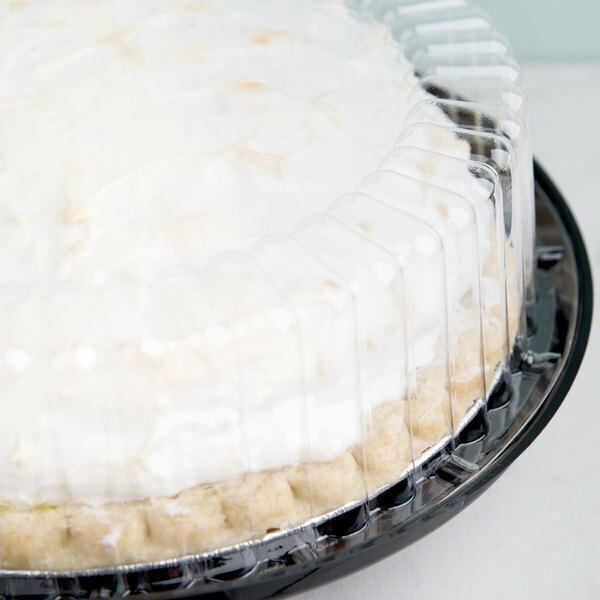 The tray will fit any disposable pie pan up to 8" in diameter.